Precision is the key for any fabrication project. However, before you start to work on any fabrication project, it is important to know the do’s and doesn’t as well as what it takes to assure optimum results for your project. 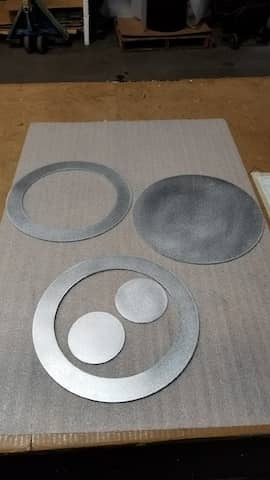 Depending on your project and the purpose allocated to the metal part you want to be fabricated it makes sense to look at different properties of the basic sheet metal you want to be used. You will need to determine the thickness the finish and shape itself. If you want to build a shelf you can use different sheet metals, even the thinnest aluminum metal can be used for your shelves if you consider the weight you want to store there and add a bend or two to the metal to make it more sturdy. Using aluminum sheet in your bathroom and pair it up in contrast with your bathroom tiles which is a very unique way of giving your bathroom a makeover could be a home improvement project where just the looks of the metal is of any importance. If you are planning to create a DIY project which is meant for the outdoor purpose, you should go for a metal type which is corrosion resistant. Aluminum is one of those types of metal that are corrosion resistant. You can use aluminum for your outdoor projects and they will not corrode. 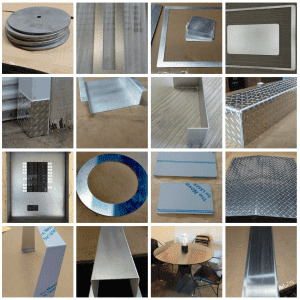 You should also decide what type of appearance or finish you want for your sheet metal. 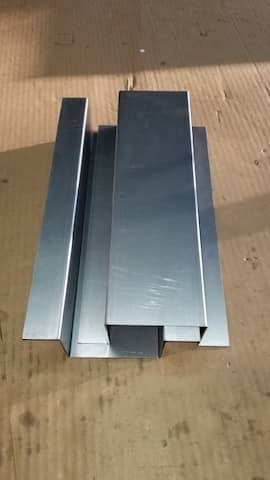 There are various standard sheet metal designs available at metalscut4u.com. However, if you want to customize your own metal sheet, metalscut4u.com can help you with the same. If you want to create something which can be easily moved, it will be convenient if it is light in weight. However, it is also important to consider strength along with weight. Metals which are stronger usually weigh more. Aluminum, is lightweight but also comparatively stronger as compared to other denser metals. Thus, it will suffice both the requirements. Formability of a metal also plays a vital role in DIY projects. Different metals have different properties when it comes to bending and welding. Stainless steel can be bend and welded but you may want ot use it where it also has a decorative factor. All metals have there little “specialties” when fabricated to one on the shapes we offer for you online. But those “specialties” are being coped with by our specialists so you can configure any shape or form online and be sure that we handle the rest. Hat channel, U channel, J channel are various shapes that you can use in multiple ways. All we need to know are the dimensions you require. And if you can enter them online we sure can fabricate them for you. Just the way you need them. is the process which involves transforming a flat sheet of metal into the desired shape and size as per your requirements. These metal parts which are produced by this process can then be used for your DIY, home improvement or home repair projects.